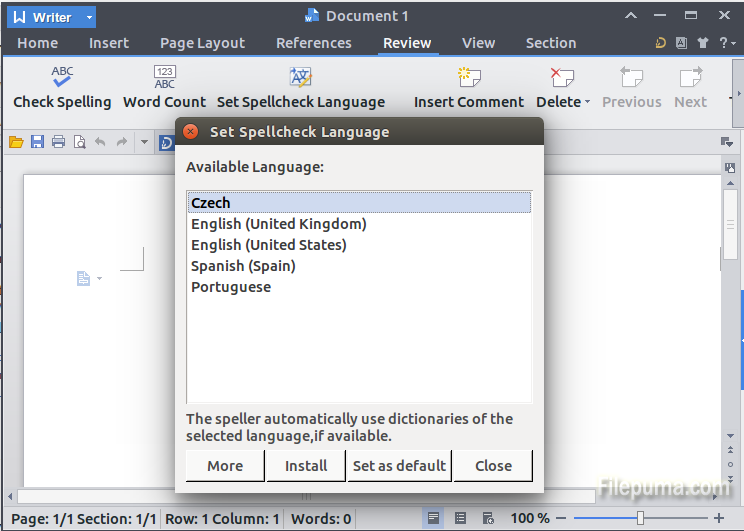 How to Add New Dictionaries to Kingsoft Office? Kingsoft Office now only supports English dictionary. However, if you have dictionary files, you can take the following steps to add new dictionary. 1. Download dictionaries (zipped files). The dictionaries here should work in Kingsoft:http://www.winedt.org/Dict/ . Unzip and find two files with the extention of .dic and .aff, change their names to main.dic and main.aff. 2. Replace the corresponding files in the following location as existing language files for Kingsoft Office, existing language files are saved here. 3. You can used the new dictionary now. Note: Backup the English dic and aff file, in case you something goes wrong or the dictionary doesn’t work.